IVF can be a complex process and selecting a doctor can be quite a challenge ! Infertile couples are often frustrated and depressed and most will choose an IVF clinic based on a recommendation by a friend or a referral by a doctor. This is not always the best method and you can end up getting stuck in a poor quality clinic, thus reducing your chances of success. Even worse, many clinics do precious little do educate or inform their patients and patients don't know what questions to ask their doctor. Also, IVF cycles can fail for many reasons. Sometimes the problem is poor quality eggs - but often it is a poor quality clinic ! Insist that your clinic provide you with photos of your embryos ! A good clinic will provide this routinely. 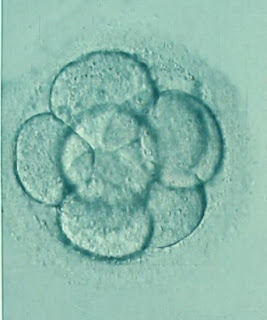 This is tangible evidence that they have delivered you with a high quality service - after all, the key output of an IVF clinic is the embryos they produce. What do bad clinics do ? Whenever a patient comes to me for a second opinion after a failed IVF cycle , I ask them just one question - show me the photos of your embryos. This allows me to judge objectively how good or bad the IVF lab is - and bad IVF clinics have bad IVF labs ! If you are not sure what good embryos look like, please look at this Visual Atlas of Embryos. And you can always ask me for a Free Second Opinion !